Experientia is often involved in supporting and promoting the Piedmont, Italy territory where it is located. Our latest initiative is Diana, a machine designed to satisfy existing and future needs of the beauty industry, based on an analysis of current trends, which was a winning entry at the Canavese Connexion a project to promote design by regenerating the Piedmont Canavese industrial area. Experientia partner Jan-Cristoph Zoels worked as Design Director on Diana, with TECNO SYSTEM S.p.A, and the design team of Enrico Bergese (senior designer), Lorenzo Modarelli (junior designer, Industrial design), and past Experientia intern Ana Rink, (junior designer, Interaction Design). The Canavese Connexion is a project to promote design by regenerating the Piedmont Canavese industrial area. Based on an idea of the Design Gang Network, together with the Community of Ivrea, the project is a part of the year of Turin 2008 World Design Capital. The project exhibition presents innovative designs from ten teams, all strictly “Made in Italy”. Teams comprising professional designers, a student designer and a Canavese company worked to design and develop prototypes of products that could alter the company’s core business, based on technology that the company already had in its possession. The design team of Enrico Bergese (senior designer), Lorenzo Modarelli (junior designer, industrial design), and past Experientia intern Ana Rink (junior designer, interaction design) worked together with Experientia design director Jan-Christoph Zoels on Diana, an intense pulse light treatment machine for TECNO SYSTEM S.p.A. Emotional vision: balancing the stress and commitments of everyday life by answering emotional needs through personal healthcare. 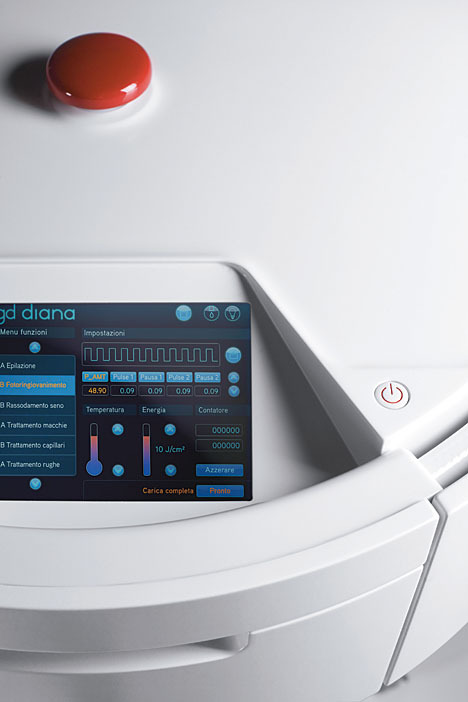 The prototype works to satisfy a part of the needs of the beauty and medical industries: ergonomics and a simple graphic interface combine in a pleasing user experience, which helps to bring calm and tranquility to the patient. 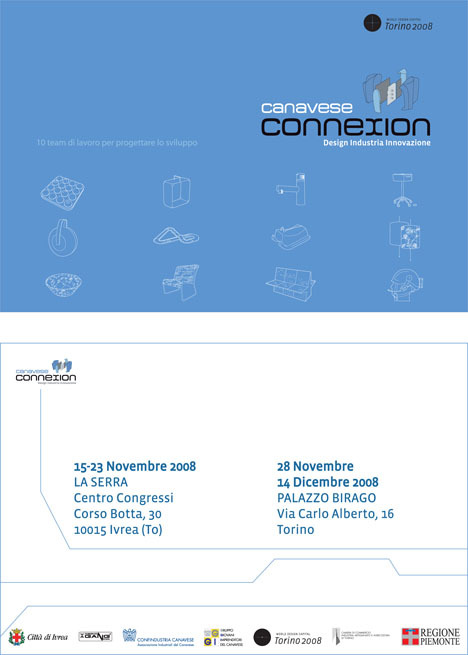 Canavese Connexion will present the prototypes in a twin exhibition in Ivrea and Turin.